News broke late last week that Kenneth Dam, the arbitrator enlisted to settle a dispute between the union and league, had ruled in favor of the union in their quest for Bird rights to be given to players signed off waivers mid-season. This was, as you've surely heard, a major win for the Knicks, as it enables them to sign Jeremy Lin and Steve Novak without respect to the salary cap. The league has since decided to appeal the ruling, which has the potential to reverse or complicate this victory for the Knicks, but assuming things hold up, the Knicks now have some options. Instead, expect the Knicks to go with the $3 million tax-payer MLE, which would not trigger the $4 million apron and hard cap. It would allow them to sign a free agent at $3 million, use the $1.9 million bi-annual to sign another player and still have the luxury of adding as many veteran's minimum contracts as they please throughout the season. Trust me, this matters, especially when a player is amnestied or waived after the trade deadline. So, unless the Knicks want to lock themselves into a roster before the season even starts (imagine if they'd been in that situation this past year, and you'll grasp it's undesirability), they'll offer only that $3 million to prospective free agents. To answer the first question a lot of Knicks fans ask, that very likely rules out a Steve Nash signing. Will touched on this before the ruling, but it still holds. For Nash to join the Knicks, he'd have to be willing to sign with a team that just got ousted in the first round, no longer employs his beloved former head coach, and (this is the big one) will offer him less than his likely market value. It's not impossible that Nash would sign with New York (He does live here after all! That's important, right?? ), but it's highly unlikely. Nash aside, the Knicks still need a guard to share minutes with Lin (and possibly another to mitigate the absence of Iman Shumpert), and there are others out there. If you're really into aging former all-stars, Jason Kidd and Ray Allen are available. 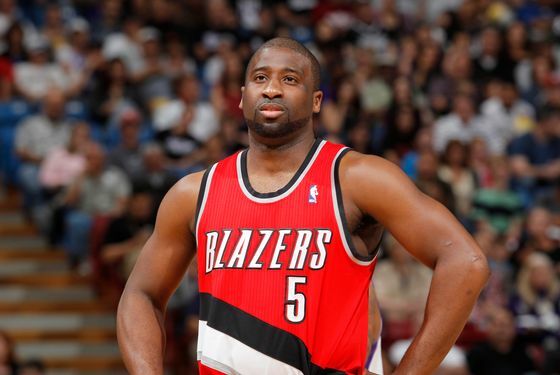 If former Knicks who left town after playing pretty well then signed elsewhere and destroyed their reputations are more your thing, Raymond Felton is a free agent. There are plenty of other unrestricted free-agent guards — Kirk Hinrich, Andre Miller, Jason Terry, Leandro Barbosa, Goran Dragic, Derek Fisher, Randy Foye, Delonte West, Shannon Brown — plus a bunch more who are restricted. The feasibility of signing any of those guys would vary based on their willingness to settle for $3 million and battle with Lin for a starting spot, but they're all at least worth considering (to varying degrees) at this point. Personally (and realistically, as much as I'd love Goran Dragic), I'd be pretty excited about bringing back Felton. Being out of shape and generally disgruntled as a Blazer probably diminished his free-agent value, and if he'd be willing to, ya know, not be those things in New York, he could provide some great value. Perhaps his success on the D'Antoni-led, 'Melo-less Knicks is clouding my judgment, though. I should probably be more alarmed about the bloated, grouchy presence he just had in Portland for a whole season. I just really love the guy. That's just one of many options, though, which is the main point. The upshot is that if everything holds up, the Knicks will have a few million dollars to improve on last year's roster instead of the $0 million we expected. If they wish to add another point guard (which they must), Steve Nash is probably out of the question, but there are ample alternatives. If they look to supplement another position, Lamar Odom, who we've talked about before, might make sense. There are also plenty of bros from abroad who are looking to jump to the NBA, which is another intriguing option we've discussed in this space. Basically, the Knicks should have the resources to improve the team, instead of just struggling to keep it together this off-season. That's good, unexpected news, provided the league doesn't muck it up.